2016 Historical 10s Champs – Update to Social Schedule! Please be advised that the venue for the Welcome BBQ on Friday evening will now be at the sailing venue for the regatta, Brisbane Sailing Squadron, and not the the Club premises. The regular Last Friday Club BBQ is also naturally to be held at BSS as well. 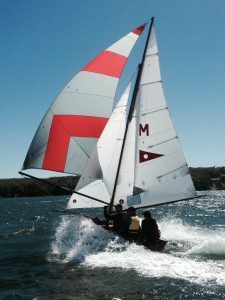 The NOR has been updated and uploaded to the Regatta Page.